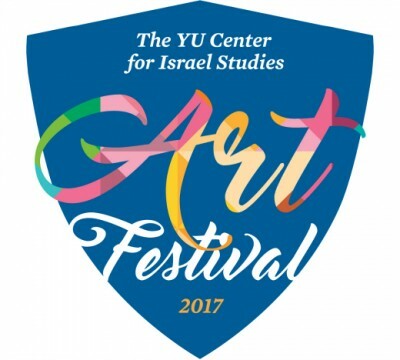 The Yeshiva University Center for Israel Studies (CIS) is sponsoring the 2018 YU Arts Festival, featuring performances, lectures, classes and concerts during the months of February, March and April at the Wilf and Israel Henry Beren campuses and the Yeshiva University Museum. According to Dr. Steven Fine, Dean Pinkhos Churgin Professor of Jewish History and CIS director, this year’s festival continues a tradition of cultural exploration at YU that was originally created by Dr. Norman Adler z”l, University Professor of Psychology and special assistant on academic and research initiatives. Curator’s Talk: The Arch of Titus – from Jerusalem to Rome, and Back (Monday, March 12) – Dr. Jacob Wisse, director of Yeshiva University Museum, will give a tour of the Museum’s exhibition, exploring the image and legacy of the Arch of Titus from Imperial Rome to modern-day Israel. The Siren’s Call: Classical Hebrew Poetry in a Musical Key (Thursday, March 15) – This lecture will explore how contemporary musicians are transforming the classical Hebrew poetry into genre-bending rock and roll. Israeli Songbook; The Songs of Rachel and Leah (Monday, March 19) – Enjoy music inspired by Rachel Bluwstein and Leah Goldberg, two of Israel’s poets, through a performance by Elad Kabilio and musicians from MusicTalks. Exhibition of Israeli Posters (Sunday, April 1 to Tuesday, May 1) – The exhibition will present well-known and rare posters showcasing a wide range of designs, styles and formats about the popular and public face of Israeli commerce, culture, fashion, religion, politics and military life. Eight Minute Oscars (Wednesday, April 11) – YU faculty members with backgrounds in film reflect on the 2018 Oscar Winners. Library Book Talk (Tuesday, April 17): Marnin Young, associate of art history, will speak on his new book, Realism in the Age of Impressionism, and Mary Creede, instructor in art, will speak on her work as a studio artist. Full Day Conference: World War I, Nationalism, and Jewish Culture (Wednesday, April 25) – Scholars from the United States and Israel will explore the national, cultural, and religious impact of the events of the World War One years on the Jews. Lens of Israel: A Society Through its Cinema (Wednesday, April 25) – Film historian Eric Goldman, adjunct professor of cinema, explores the changing nature of Israeli society reflected through 70 years of Israeli movie production. Archaeology’s Role in the Development of the Ancient Near Eastern Art Department at the Met (Monday, April 30) – Dr. Caitlin Chaves Yates (Mellon Curatorial Research Fellow, Metropolitan Museum of Art) gives a lecture on archeology and the Metropolitan Museum of Art. More information can be found at www.yu.edu/cis/arts-festival and registration is here.